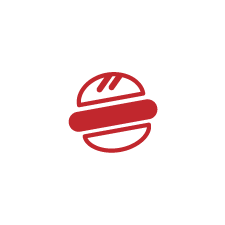 The operators of this Smashburger site, AL Ventures Limited (“We”) are committed to protecting and respecting your privacy. For the purpose of the Data Protection Act 1998 (the Act), the data controller is AL Ventures Limited of Courtyard, Chapel Lane, Bodicote, Banbury OX15 4DB. 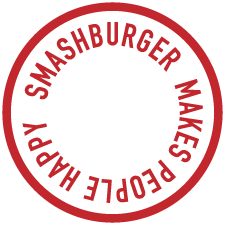 You may give us information about you by filling in forms on our site www.smashburger.co.uk (our site) or in store or by corresponding with us by phone, e-mail or otherwise. This includes information you provide when you register to use our site (or to join the Smashclub), subscribe to our service, search for a product, place (or pay for) an order on our site, in store or over the phone, participate in discussion boards or other social media functions (on our site or any platform operated by us or on our behalf), enter a competition, promotion or survey and when you report a problem with our site. The information you give us may include your name, address, date of birth, e-mail address and phone number, financial and credit card information, personal description and photograph or any other category of information relevant to the experience you choose to have with us. information about your visit, including the full Uniform Resource Locators (URL) of your journey to, through and from our site (including date and time); products you viewed or searched for; page response times, download errors, length of visits to certain pages, page interaction information (such as scrolling, clicks, and mouse-overs), and methods used to browse away from the page and any phone number used to call our customer service number; other technical information relating to your browser and device. POS TRANSACTION DATA COLLECTED FOR ANALYTICS PURPOSES ONLY. When you use a credit or debit payment card (“payment card”) in one of our restaurants or via our site, certain guest Point-of-Sale (“POS”) transaction data are gathered and may be transferred to and stored by us and a third party marketing data analytics company approved by us and acting under our direction for purposes of providing analytics to us, such as frequency of visits, etc. This information may include your name and last 4 digits of your payment card number. Additional demographic information, such as your gender and address, may be obtained from third party information services companies. This POS transaction data and any appended demographic information (collectively, “POS Transaction Data”) may be used to deliver marketing that we think may be of interest to you. It is not used for personalized promotional offers unless you opt-in to receive these types of communications (see below for more information about these types of offers). OPT-IN TO RECEIVE PERSONALIZED PROMOTIONAL OFFERS BASED ON GUEST PROVIDED AND POS TRANSACTION DATA. You may be presented with opportunities to receive personalized promotional offers by SMS (text), email or regular mail from us, such as coupons for discounted meals, by signing up at various venues, including, but not limited to, online (for example Smashclub membership), in-store or other events, and by providing information, such as name, date of birth, and contact information, such as address, email address and mobile phone number (collectively, “Guest Provided Information”). You should not provide: your mobile phone number if you do not want to receive promotional offers by SMS (text); your email address if you do not want to receive promotional offers by email; or your address if you do not want to receive promotional offers by mail. Personalized promotional offers are based on inferences of the type of marketing that may be of interest to you. The Guest Provided Information that you have provided to us in order to receive personalized promotional offers may be combined with POS Transaction Data. INFORMATION COLLECTED VIA SMASHCLUB SIGN-UP. When joining Smashclub (through our site or in-store), you will furnish Guest Provided Information and may create login credentials. Additionally, we may use certain technologies, such as pixel tags and web beacons (for more information: http://www.networkadvertising.org/faq) to collect other information relating to your device or your activity on the website. This information may include the type of device you use, including operating system and device model, your page/screen views, network IP address, and other website information, such as manner of use, frequency and duration of usage, and errors and/or crashes. This information may be provided to or accessed by a third party analytics company, such as Google Analytics, and used to analyse trends, administer the website, identify and resolve technical issues, and improve the website/application and the overall user experience. It may also be used to create, operate, deliver and improve our products, services, and customer communications. Information gathered through the website is aggregated whenever possible to protect your privacy. Advertisers and advertising networks that require the data to select and serve relevant adverts to you and others. We do not disclose information about identifiable individuals to our advertisers, but we may provide them with aggregate information about our users (for example, we may inform them that 500 men aged under 30 have clicked on their advertisement on any given day). We may also use such aggregate information to help advertisers reach the kind of audience they want to target (for example, women in MK10 postcode). We may make use of the personal data we have collected from you to enable us to comply with our advertisers’ wishes by displaying their advertisement to that target audience. If AL Ventures Limited or substantially all of its assets (relating to the business in respect of which your data has been provided or is used) are acquired by a third party, in which case personal data held by it about its customers will be one of the transferred assets. You have the right to ask us not to process your personal data for marketing purposes. We will usually inform you (before collecting your data) if we intend to use your data for such purposes or if we intend to disclose your information to any third party for such purposes. You can exercise your right to prevent such processing by checking certain boxes on the forms we use to collect your data. You can also exercise the right at any time by contacting us using our contact form on our “Talk to Us” page.